Carnival is a festive season which occurs immediately before Lent. 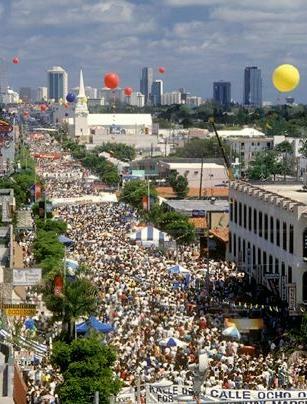 An exciting Cuban street festival in Little Havana, with food and live music.The event consists of outdoor musical performances on a stage and along the sidewalks of Calle Ocho, art exhibits along the sidewalk and in plazas and open spaces, visits to art galleries and cultural centers. This festival is celebrated during the month of March every year.